The Hackett Group surveyed executive IT leaders about their strategic priorities and initiatives for 2018. A consistent mission surfaced: unlock the value of digital business. 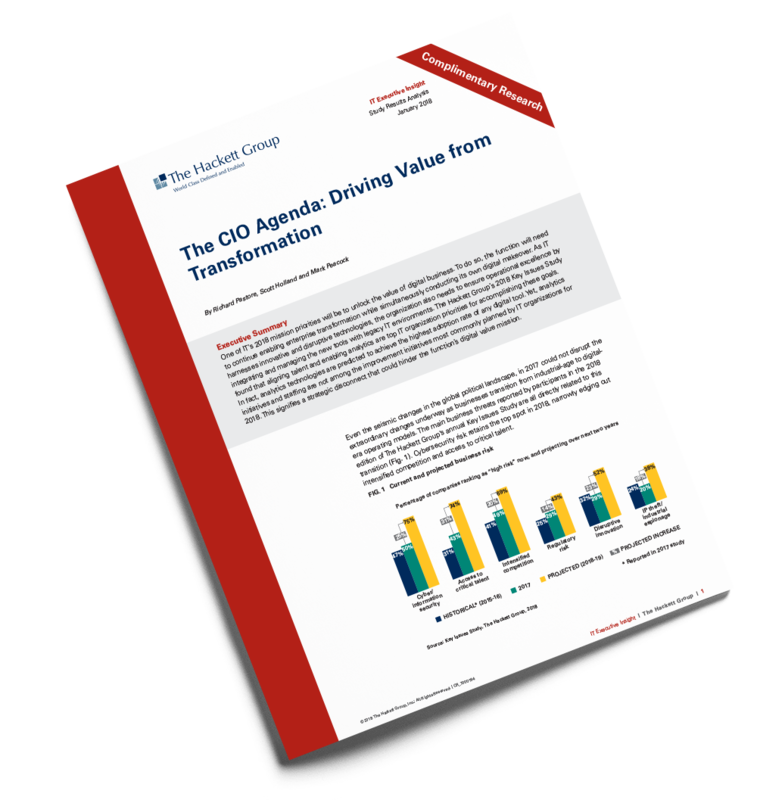 IT teams are under intense pressure to deliver digital transformation while simultaneously ensuring operational excellence by integrating and managing new solutions into legacy technology environments.